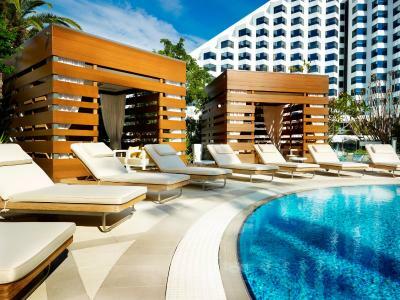 Lock in a great price for Crown Metropol Perth – rated 8.8 by recent guests! 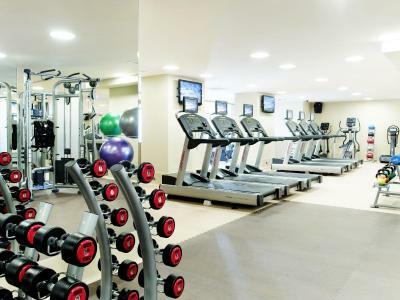 Loved every aspect of your hotel. Will definitely be coming back!! The hotel was excellent, very upmarket and a pleasure to stay at, nice and quite and central to many attractions. Everything you would expect from a first class hotel and casino. The beds were comfortable and the bath luxurious. My wife and I celebrated out 50th Wedding Anniversary at Silks with our 7 family members. The banquet was at a level we have not experienced before, with all of us saying we must return. I have stayed a couple of times now, when I fly into Perth I am normally only there for a couple of days which occurs every couple of months. My next trip is planned on the 26th to the 7th of August and I will 100% stay for a few days again. Staff are friendly and check-in and check-out was done with ease. Food and service in restaurant and bars was great. Bed was very comfortable and pillows great. The only thing (My fault), I lost my parking ticket which charges $25 for a day parking and because I lost it they charged me $50... Bit cheeky.... but teaches me to take better care of it next time. Well done Crown. Comfortable beds and clean room. 24 hour activity at the attached Casino so there is always something to do if you are changing time zones. The king bed was comfortable, the large bath relaxing and the breakfast is to die for! Crown Metropol Perth This rating is a reflection of how the property compares to the industry standard when it comes to price, facilities and services available. It's based on a self-evaluation by the property. Use this rating to help choose your stay! 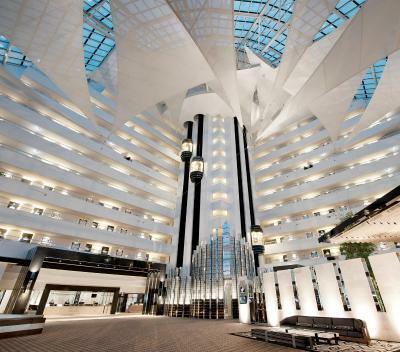 One of our top picks in Perth.Located on the banks of the Swan River overlooking the Perth city skyline, Crown Metropol Perth offers modern and stylish accommodations within a 15 minutes’ drive from Perth’s International and Domestic Airports. Perth city center is a 5-minute drive away. 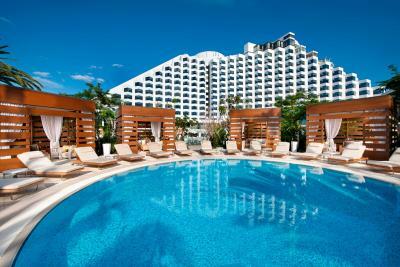 Guests have access to the resort-style pool area, 24-hour casino and a theater. 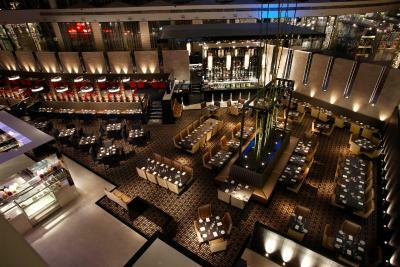 The selection of world-class restaurants and bars includes Neil Perry’s Rockpool Bar and Grill. 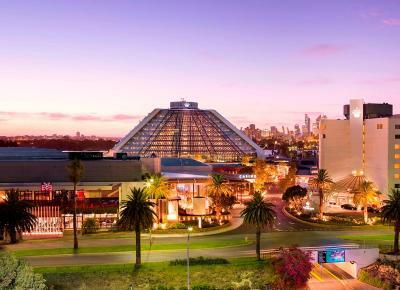 Burswood is a great choice for travelers interested in beaches, warm weather and relaxation. 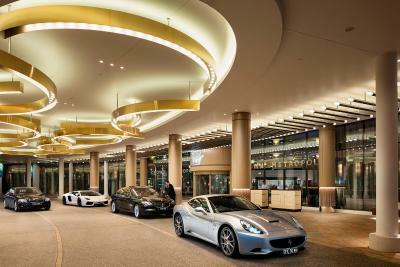 When would you like to stay at Crown Metropol Perth? This room features a desk, a large plasma-screen TV and a luxurious bathroom with a separate shower and bathtub. Public parking is available at a location nearby (reservation is not needed) and costs AUD 50 per day. This room features 2 double beds, a desk, a plasma-screen TV and a luxurious bathroom with a separate shower and bathtub. 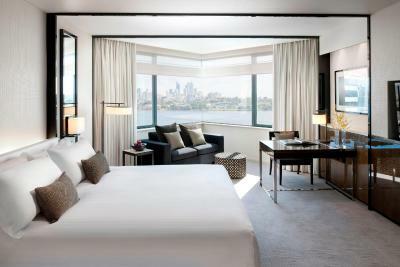 This room features a spectacular view of the Perth Skyline, the Swan River and the resort pool. This room also features a luxurious bathroom with separate shower and a deep soaking bath. 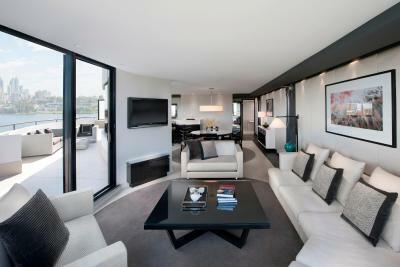 This room features spectacular views of the Perth skyline, Swan River and the resort pool. The luxurious bathroom has a separate shower and bathtub. This deluxe room features a king size bed and a large spa bath. The spacious, light filled room features a large plasma TV, separate work station and a sitting area. There is a sliding opaque screen dividing the bedroom and the modern black and white bathroom, featuring a separate shower, oversize bathtub and toilet. This room features a spacious bedroom with a large well-furnished bathroom. Includes separate living and dining areas. This package includes a bottle of sparkling wine upon arrival. This air-conditioned room has a desk, a flat-screen TV and a luxurious bathroom with a separate shower and bathtub. Hotel surroundings – This neighborhood is a great choice for travelers interested in beaches, warm weather and relaxation – Check location Great location - show map Guests loved walking around the neighborhood! House Rules Crown Metropol Perth takes special requests – add in the next step! 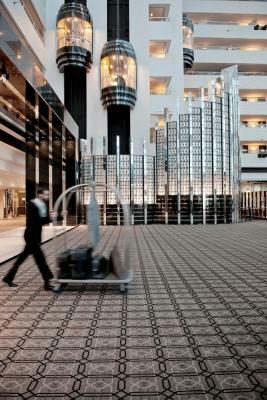 Crown Metropol Perth accepts these cards and reserves the right to temporarily hold an amount prior to arrival. If staying in a premium room type, an additional credit card pre-authorization of $500 per night, not exceeding $2,000 for bookings of more than 4 nights is required as security for any incidental costs, including damage associated with the room. Cash, EFTPOS and debit card are not accepted. Please note that cash refunds will be returned to the guest who supplied the photo ID upon check in. Card refunds may take between 3-10 working days to process and pre-authorization releases take up to 31 days to process. Please note that requests for early check-in is subject to availability and will not be guaranteed, unless the room is reserved for the night prior to arrival, which will incur an additional night's charge. Requests for late departures are subject to availability on check-out, however can be guaranteed if booked prior to arrival. For further information, please contact the property in advance, using the contact details found on the booking confirmation. Please note that room preferences including smoking or nonsmoking, floor level or view cannot be guaranteed and are subject to availability. Please note that smoking in a nonsmoking room will result in a cleaning fee being charged. Rooms are on the expensive side and we stayed there on a special deal. Otherwise we wouldn't have gone there for our break. The Atrium breakfast was excellent with a great variety of foods to suit everyone. The bed was very comfortable and the room was large and spacious. The views over the city and Optus stadium were magnificent. breakfast was great, swimming pool was great. enjoyed that everything was in one place. The valet parking could have been made a little clearer that the price was included in the room rate. We thought we were going to have to pay $50 so we were going to go and self park but the check in staff after we agreed to $50 said that it was included in the rate. Perhaps they could have a check in system to see who's is included and isn't. All of the staff were very friendly and knowledgeable. The check-in staff asked what we were visiting before and as it was my partners birthday they sent up some sparkling wine and chocolate which is the little touch that makes a stay special - especially for the price you pay for the room. 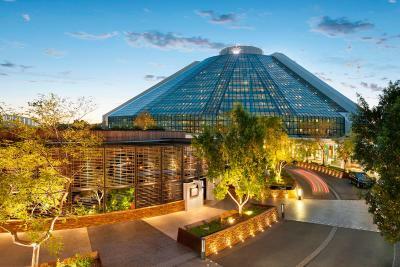 The room was spotless and facilities all very modern and the breakfast which was included was spectacular in The Atrium! The bed was a little uncomfortable. But other then that all good. The view and the lights and the vibe. Was good that there was so many restaurants etc onsite. It was all very good, except Subway, the buns were stale, and they didn't listen properly. We enjoyed our spacious King Luxe room, the pool and our morning coffee. 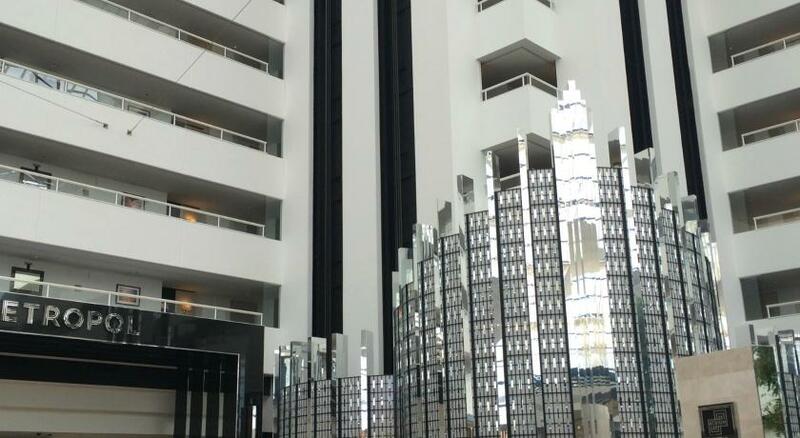 We had a function at Crown Towers so it was very convenient and made for an even more special weekend. It was also our Anniversary and we appreciated the champagne and chocolate in our room on arrival - a lovely touch! More affordable than we imagined - we will be back.